Material: Good qualityPVC Plastic. Note: Due to the difference between different monitors, the picture may not reflect the actual color of the item. 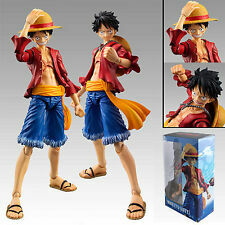 G x Materia Monkey D. Luffy by Banpresto. 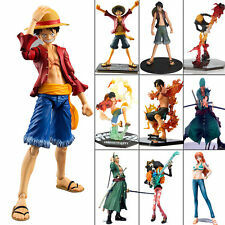 Treasure Cruise World Journey Nami Figure by Banpresto - One Piece. Condition is New. Official figure. Unopened, Japanese edition. No custom charges on order, will be shipped from U.K.
Boa Hancock is wearing an open-chested black dress with gold jewelry and is sitting on a chair. Series: One Piece Glitter & Glamours. Manufacturer: Banpresto. Amazingcondition lo oksb ra nd n ew. L im it ed edition. 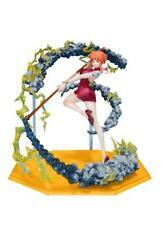 Megahouse One Piece POP Nami New World Sailing Again 1/8 PVC Figure Anime/manga. Condition as new. All of my product are in perfect condition and original 100% JAPAN Import products. Contact me for more details or pictures. One Piece Lady Edge: Wedding NEFELTARI VIVI - Anime Figure. Condition is New. Dispatched with Royal Mail 2nd Class. Opened and displayed in a glass cabinet. Like new condition. Product Description 100% Brand New Material: PVC Size: about 14cm Package : Retail box Brand: Unofficial Note: Please note that, the package box might be slightly damaged during the shipping. But we can guarantee that the inner of the item would be perfectly preserved. If you do care about the package box, we could offer a double reinforce package, with an extra £10 for the reinforce package service. Thank you for your understanding. Due to the difference between different computer monitors, the picture may not reflect the actual color of the item. We guarantee the style is the same as shown in the pictures. Thanks! If any question, please feel free to contact us via "Ask seller a question" , We will reply your email within 24 working hours. Product Details One Piece Nami Figure Figuren 100% Brand New(Item Come Without Retail Box) The price is set lower without the box. Please contact me to pay the box fee if you want it. Size About:20cm/7.87" Material:PVC Chinese version, Not genuine, But good quality as photo show. Good for your collection!Good gift for your friend or Child. 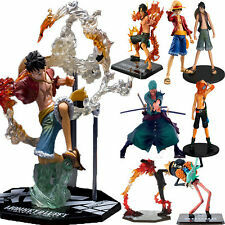 Specification: * A One PieceFigure *100% brand new *Size About :7.5"=19cm *Perfect decoration for your desk or office room, bedroom, living room, *Material: Good quality PVC *Package: 1x Figure WITH BOX *Good for your collection!Good gift for your friend . Brand: Unofficial NOTE: PLEASE ALLOW A SMALL DIFFERENCE ON SIZE (1-2CM) DUE TO MANUAL MEASUREMENT, AND A LITTLE DIFFERENCE ON COLOR. BOX MAY BE SLIGHTLY DAMAGED DURING THE DELIVERY, WHICH IS NORMAL. IF YOU NEED IT AS NEW / GIFTS / COLLECTION,PLEASE INFORM US AND WE WILL HELP YOU PACK WITH SOME PROTECTION BOX BUT ADDITIONAL POSTAGE COST 5-10GBP If any question, please feel free to contact us via "Ask seller a question" , We will reply your email within 24 working hours. 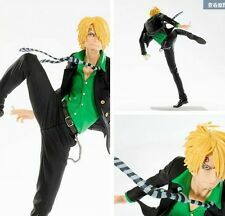 Tashigi - One Piece DXF The Grandline Lady vol.3 by Banpresto. Condition is New. Dispatched with Royal Mail 2nd Class. Item box is very slightly worn on the edges, nothing major. We will try our best to give y ou a happy shpping experience. Material: PVC Size:about 24cm high. You may also like. Product Details One Piece Nami Figure Figuren 100% Brand New(Item Come Without Retail Box) The price is set lower without the box. Please contact me to pay the box fee if you want it. Size About:14cm/5.51" Material:PVC Chinese version, Not genuine, But good quality as photo show. Good for your collection!Good gift for your friend or Child. After 2 years to new world transformation. Cool! [ONE PIECE] Hawk-Eye Dracule Mihawk Pvc figure Toy Japanese Anime 8.6"
Before leave us neutral or negative, we will doing our best to solve it. Color: as the picture. New condition Nami figurine, official Riot Games merch. Retired on their online store and looking to sell to a new home.